I have the honour of having had work chosen for the London Analogue Festival 2014 My Dead Lumen Mouse series has been selected for inclusion into the Festival and will be exhibited at the Bargehouse OXO Tower on the Southbank London. This is a fantastic venue, the surrounding area brimming with creativity. 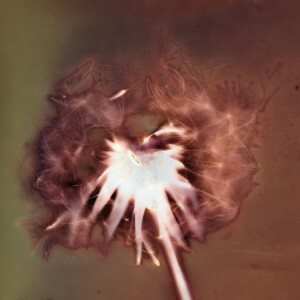 Learn how to Lumen print and use this workshop to start the creative process, with LAF artist Ky Lewis! First used by Fox Talbot and Anna Atkins the process was highlighted again by the extensive work of Jerry Burchfield whilst in the Amazon. Lumen printing is simple, beautiful, surprising and inspiring. The process uses light sensitive materials and can be done in the daylight producing ephemeral images from a range of materials both organic and inorganic, it’s all down to your imagination. 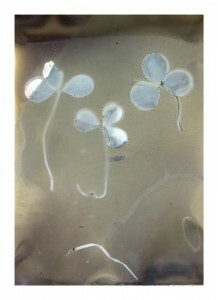 Similar in method to photograms and using a contact process. This workshop is open to all skill levels. You should leave knowing how to make your own at home and by the end of the workshop you will take home a couple of examples that you have made during the workshop. If you have some of your own materials (shapes textures plants) that you wish to use to lay on the surface, please bring these along with you. We will endeavor to use materials in the area, which may mean collecting samples from the foreshore(depending on tide) or plantlife from the surrounding area. All other materials will be provided.